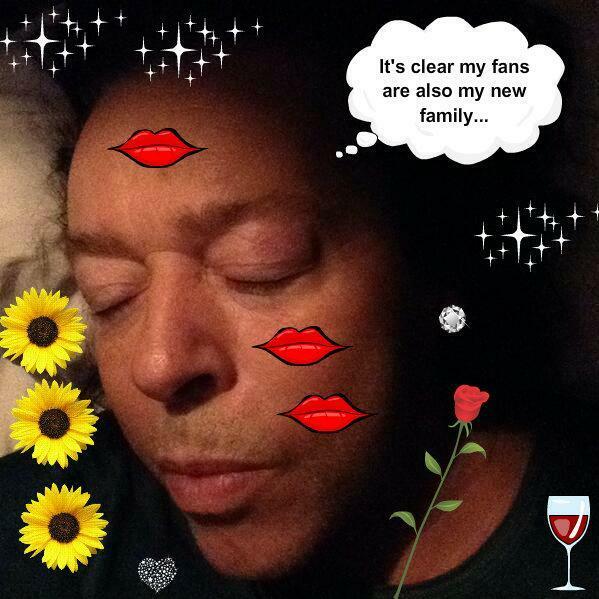 Late October…a new ‘Roland Orzabal’ Twitter profile surfaces. Much like the others that seem to appear every few months, we ignored it thinking it was yet another impostor. But on the afternoon of April the 1st…our travel fan team members were pretty sure this was indeed the Good Sir Orzabal himself. By that Saturday morning he was tweeting about Tears and Kook’s New York Branch travel fan team lead Cammie, and her playlist. Also known as C. Horton, Cammie is the creator of the #SexDrugsOperaOrzabal Spotify accompaniment, her fan generated project for the book club that has formed online. Between Sherlock Silver Kitty Carri D and Cam’s careful attention, we sat in various parts of the world with our chins on the floor. He’s. On. Twitter! 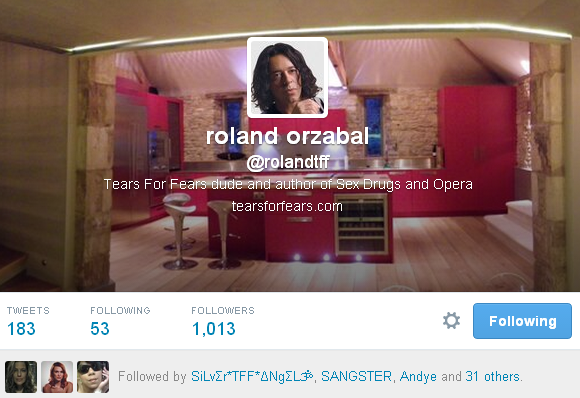 As Mr. Nadal, one of two travel fan team leads in the Philippines tweeted, “I still can’t believe @rolandtff is on Twitter. It’s the end of the world and everyone is happy…” Let’s hope the next apocalypse is just as exciting! Roland quickly got acquainted with his fellow loyalists, many of whom have been a part of his life for years as regular concert attendees and past TFF fanclub members. He began following several and joining in conversations with selfies, verification photos and pictures of his cat, Schro. We’ll leave it to you to figure out what Schro is short for. Our top 10 Roland Moments thus far? 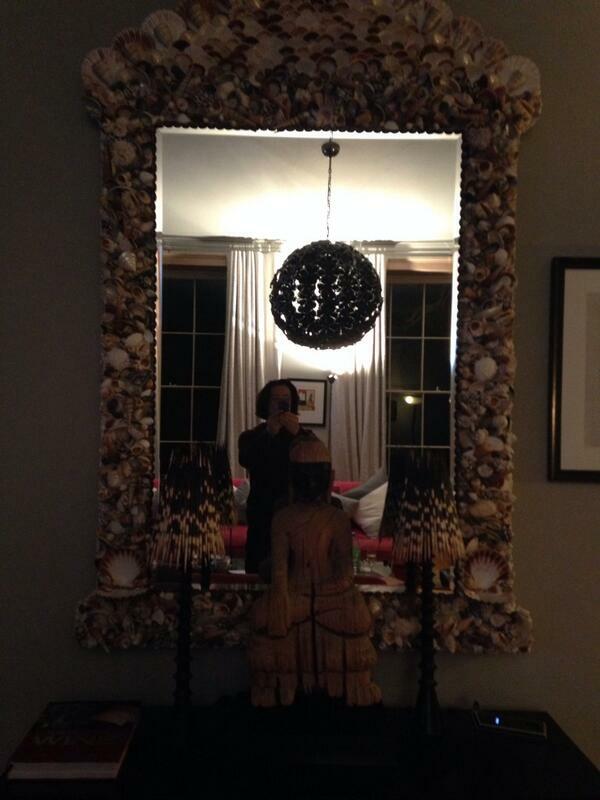 10.The Mirror Selfie – Gasps went out around the world when this was tweeted. The intricate shells, the cultural decor, the floor to ceiling windows…absolutely stunning! For so many it was like looking at the reflection of a heavenly being! People reported they burst into tears, kissed their screens and held their iPhones and iPads to their hearts. It was truly touching. 6. Sulking At The Mention of ‘Graduate‘ – Honestly, we’d love them to reunite for one show! According to Roland’s tweets, he seems amenable! 5. The Not So Bad hair Day – As if a bad hair day were ever possible for Roland. Either way, this was another awesome selfie that sparked other fans to tweet Roland their own photos… and somewhere, singing commenced. 4. The Inner Thigh Machine – He assembled it by himself via Twitter and by the end of the night finally figured out how it worked. 3. 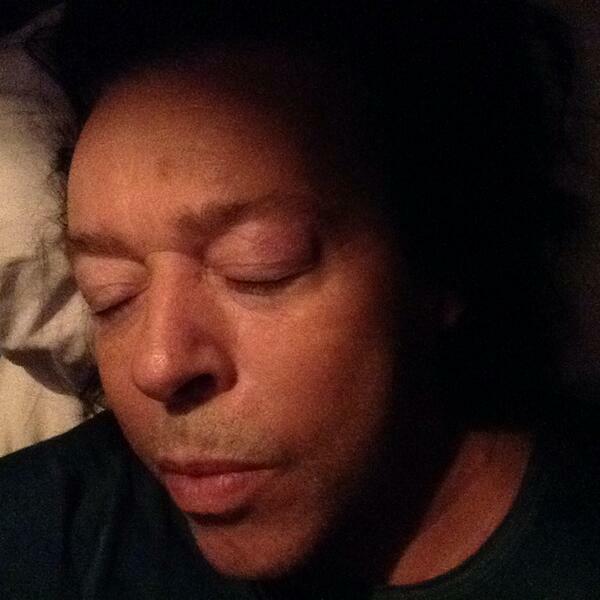 The Ultimate “Sleeping” Selfie – Supernatural creatures certainly know how to take great pictures of Roland! It turned into deco den for fans; we immediately grabbed it and started colouring it with fun things as if we were 3 years old! Instead of milk glasses and cookies we had wine and pasta. 2. The Free-Flowing Interaction With Fans – He’s been replying and spending lots of time with everyone online and we are all so grateful!! What many fans are looking forward to are chats about the book. We’ve got two hashtags going, one of which is #SexDrugsOperaOrzabal (which was used during the Kindle release countdown. Lady Puppin of Brazil won the Kindle download. Para Bems a ela!). Roland also seems to have hinted about an SDO part II with the character Rosa getting a little naughty?! That should be good! It’s certainly an exciting time for all of us, a wonderful opportunity to interact with the Good Sir. And yes, this is all legit, the Good Man Smith said so himself! Previous Previous post: Win a Kindle Download of Roland’s new book! 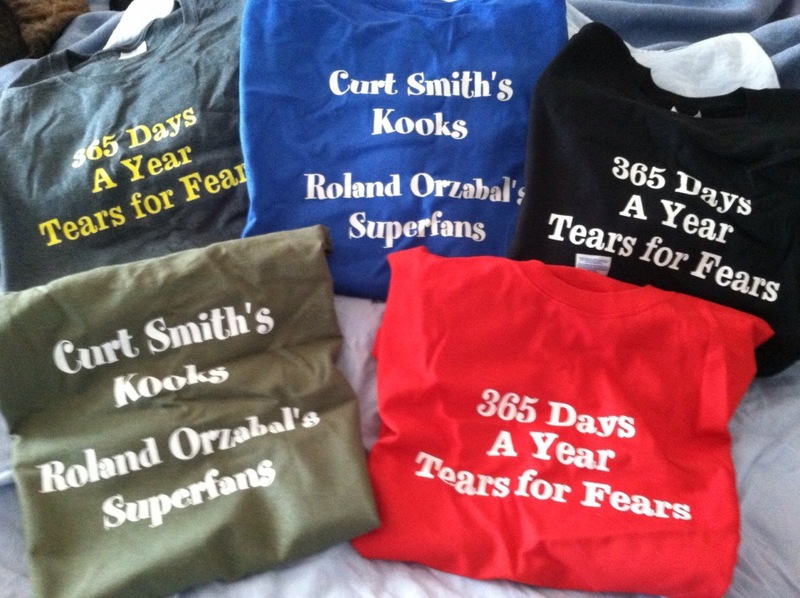 Next Next post: Happy Birthday Curt Smith!